The XTS-IP telephone system takes the best of both worlds and combines them – traditional digital telephony and Voice-over-IP (VoIP) “converged” technology, to deliver a total communications platform that is loaded with possibilities. With the Vodavi XTS-IP communications system, you can start by choosing just a few VoIP applications while staying firmly grounded with traditional technology, or you can opt to make every device on the system a VoIP device. With the XTS-IP, you choose your own path to take your business to the next level of technology and success! IP networks can provide your enterprise with a single medium for integrating and transporting voice and data communications across local networks (LANs), wide area networks (WANs) and the Internet. This can ultimately lead to reduced infrastructure, administrative, and other costs associated with maintaining your voice communications network. Additionally, VoIP products and applications can provide your organization with valuable productivity-enhancing tools that are not available with TDM (Time Division Multiplexing or “traditional” digital) technology. With the evolution of telephony from TDM to IP based architectures, converged networks provide the ability to protect financial and technological investments while allowing the enterprise to deploy IP-based products and services as needed, without displacing existing infrastructure. For example, a small branch office may be able to take advantage of an existing broadband data connection from the company headquarters by putting an XTSc-IP with VoIP trunks or IP endpoints at the remote location. 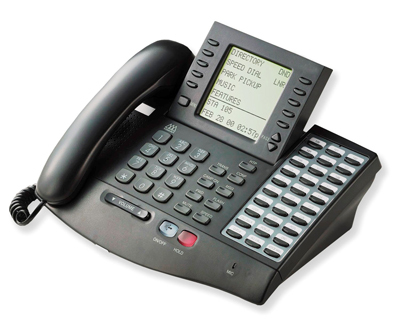 Teleworkers can use the same technology to have both voice and LAN connectivity to their home office using the Nomad RSGM (Remote Services Gateway Module) and IP phones. The XTS-IP offers you the flexibility to provide IP-based solutions as your needs evolve without having to upgrade or replace entire telephone systems or networks. Vodavi Delivers Technology and Value With over 20 years in the communications business,Vodavi remains committed to providing exceptional solutions to small and medium-sized businesses at an affordable price, while maintaining our customer’s capital investment for future growth.